We encourage students to take the Introductory Series because it lays the foundation for your practice and prepares you for progression into Yoga Foundations and Level 1. This series is designed for students who are new to yoga, new to alignment-based yoga, or simply want a refresher. We will introduce the proper alignment fundamentals of basic yoga poses and breath work, build strength, flexibility, and over all body-mind awareness, while attending to the specific needs/modification to suit each individual. Focuses on developing poses and sequences that promote hormonal balance. Home sequences for specific issues ranging from PMS to menopause will also be provided to students. UYLS Yoga has important elements for all hazes of a woman’s life. Right from adolescence to motherhood, menopause and old age, women undergo many life changes. Those changes in body-chemistry can cause major mood swings, creating disharmony and imbalance in our lives. A daily yoga routine can be modified and adapted to suit a woman’s changing needs in each phase of life, helping her to achieve peace of mind and bodily poise. A UYLS Yoga course teaches a variety of yoga routines, which can be practiced in the comfort of your home or even at your workplace. This is how the Yogasana, Pranayam, and Meditation techniques taught in the Pundit Ji at UYLS Yoga course can help a woman in various stages of her life. Very few people realize the role of the spine in physical and mental health. Thousands of years ago Yogis gave great importance to the development and protection of the spine. A healthy spine is one which is erect and flexible. And so it is essential to maintain the correct posture when sitting, standing, walking, etc. Yoga can transform your reactions, improve your health, and help you embody grace under pressure. Reducing stress levels can greatly improve health and quality of life—and yoga is arguably the best overall system for stress reduction ever invented. The ancient yogis’ most profound insights were the link between breathing patterns and state of mind. Shallow, rapid breaths—the way many people breathe most of the time—can, from a yogic perspective, be both a cause and a result of stress. Think of how you breathe, the yogic remedy is to slow the breath down. Stress plagues us all at one point or another and has the power to negatively affect our mood and our health. Yoga has been proven to relieve symptoms of stress, anxiety, and depression. This specialized therapeutic series combines both active and restorative poses specifically sequenced, along with the breath, to alleviate feelings of stress, anxiety and depression. Learning how yoga can help you de-stress your life, these classes will leave you feeling renewed with a sense of inner harmony in both body and mind.. No previous yoga experience necessary. Yoga practice can help reduce joint pain, improve joint flexibility and function and lower pain. Yoga techniques affect body, internal organs, endocrine glands, brain, mind and other factors concerning Body – Mind complex. Various Yoga techniques can be practiced effectively to reduce the weight and achieve normal healthy condition of Body and Mind. In yoga therapy, we do not exercise the body for the sake of burning extra calories, but to develop body awareness, to understand the language of our body, the way it works, and what suits it best. From this understanding, we can modify or adjust our diet and lifestyle to suit the needs of our body and mind. Even though the aim of yoga is not just reduction of weight, this is bound to happen as an outcome of our increased self-awareness. Yoga should be used as a form of self-expression, helping our body/mind complex flow freely. Yoga has considered all aspects of Obesity like physical, emotional and mental. Regular practice of Yoga and Yoga has different effect on obesity, which is permanent in nature than other techniques for obesity reduction. In yoga therapy the body is the instrument, not the end; it is the means, not the aim. So, it is not just the techniques that are important, but also the attitude with which we undertake them, how disciplined and regular we are in the practice. Yoga therapy is the most preferred natural remedy for asthma as it is effective and has no side effects. Yoga is a system inclusive of physical and mental training that can benefit people of all ages. It involves Asanas (body postures) and Pranayama (art of breath control), among which of its physical uses are to reduce stress-related conditions, help with circulatory and respiratory disorders such as Asthma and Bronchitis, and improve over-all health. Yoga therapy including the poses, breathing, and relaxation techniques put you in control of your mind and emotions, making you more relaxed and allowing you to breathe easier. This will also help your lungs work better and enhance airflow during Asthma attacks. Several studies have shown yoga to be a powerful adjunct therapy to reduce the frequency and intensity of asthma attacks as well as to decrease medication use. Consistent practice of yoga postures and pranayama (breathing exercises) increases the lung’s airflow, air capacity, stamina and efficiency. Back bending postures open the chest improving both lung and heart functioning. Inverted postures drain excess mucus from the lungs and balance the immune system. A general yoga practice reduces stress, physical tension, and muscle tightness and increases overall feelings of well being by activating the parasympathetic nervous system. Yoga is a mind-body practice, which means it can help mitigate both the mental and physical impact of chronic headaches. Yoga’s relaxation techniques are thought to calm the body’s nervous system. This action on the nervous system is believed to reduce the activities in the brain that lead to migraines. Yoga also has a positive impact on certain chemicals in the body and in the brain, which may also help migraine sufferers. Yoga Therapy for Migraine generally focuses on the prevention of the occurrence which includes stress reduction and avoidance of the various causes of the attacks. Yoga can also alleviate the headache pain by providing relief to sensory overload and relaxing your mind. A combination of Yoga poses, breathing exercises and relaxation may help reduce the frequency and intensity of migraines. Just as the mind affects the body, so the body affects the mind. Yoga asana, or postures, can help alleviate migraine headaches. Yoga can be a very beneficial therapy to lower high blood pressure naturally. A gentle, soothing practice of yoga stretches settles mind and body and reduces stress. Yoga postures tend to switch on the parasympathetic nervous system, responsible for rest and repair, and turn off the sympathetic nervous system, used for the fight-or-flight stress response. Increased parasympathetic activity has a beneficial effect on many systems in the body, and allows the nervous system to become more balanced, freeing up the body’s inherent healing response. Calming restorative yoga asanas are particularly useful for reducing stress and lowering blood pressure naturally. Utilizing yoga as therapy for high blood pressure is most useful if done as part of a multi-therapeutic approach, including lifestyle changes and Yogic remedies for stress and high blood pressure. As always, when it comes to natural healing, getting results are not usually as quick and easy as popping a pill. The good news is, however, that when you take steps to lower blood pressure naturally by helping the body’s own healing response to take care of the problem, you get true, holistic healing. Not only will you avoid unwanted side effects from blood pressure medication, when blood pressure is lowered naturally because your nervous system becomes more balanced, your whole mind and body system benefits. This means you will feel better, have more energy, will perform better during the day, and have more resources for coping with stress with help of Yoga. Yoga is one of the ancient techniques for dealing with thyroid problems. Regular yoga practice can help to deal with thyroid problems efficiently. Many of the thyroid disorders occur due to excessive stress. Yoga can help alleviate stress and anxiety to a great extent. This practice is also useful in maintaining the right balance between the mind and the body. There are a few poses in yoga that improve the functioning of the thyroid gland as well as regulate your metabolism. In yoga several poses work directly on the thyroid gland, regulating its function and hormonal release. Careful yogic therapy can act as a perfect complement to any medical therapy for thyroid problems while the problem exists. This is where having a well-charted yoga practice can help in acting as a perfect complement for medical treatment. Unlike with hyperthyroidism which involves a more precise yogic therapy, hypothyroidism responds well even to a general chart of yogic practices with emphasis on those which work on the throat. For those without any problem, maintaining a regular yoga programme can act as a preventive. For those with diabetes or pre-diabetes, adopting a regular yoga routine in addition to other healthy lifestyle habits can provide relief from diabetic symptoms and even help overcome the condition. The best beginning yoga for diabetes will include postures and breathing exercises that are designed specifically to target and stimulate the pancreas. By improving blood flow to the pancreas, yoga postures for diabetes rejuvenate the organ’s cells and improve its ability to produce insulin for the body. Beginning a yoga for diabetes routine, in addition to relieving symptoms, can bring a new level of physical ease and overall well-being to your day. Certain postures have a therapeutic effect upon various organs and glands. Those postures that benefit the pancreas and its functions are of the greatest interest to diabetics and pre-diabetics. It is the correct application of these postures that can reverse/cure diabetes. Cardiac yoga is a system of stress management and health promotion designed specifically to focus on the needs of a heart patient. Cardiac yoga is basically artery gentle yoga exercises tailored to the special needs of people who have various cardiac problems, live with a cardiac condition or recover from cardiac diseases. 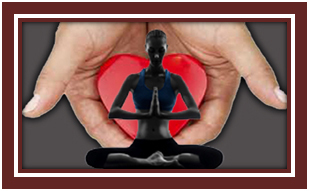 Cardiac yoga focuses mainly on breathing practices, stress reduction, stretching, relaxation, and body awareness techniques. The aim is to improve lung capacity, reduce stress, strengthen tired muscles and inspire healing. 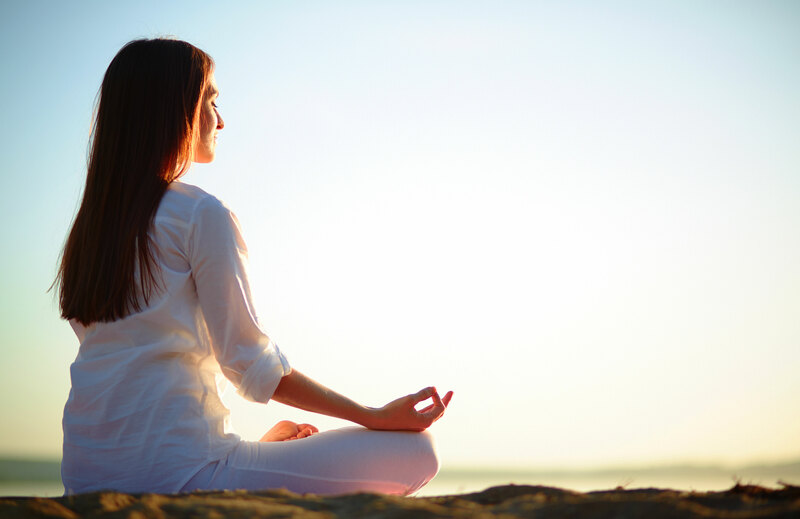 Meditation is a vital component of the Cardiac Yoga program. The Yoga exercises and poses used in a Cardiac Yoga program help cultivate in patients an improved ability to take deeper breaths. The fusion of asanas (Yoga poses) and pranayamas (breathing exercises) is actually a preparation for meditation. Combined with imagery, meditation summons the physical, mental and spiritual resources that facilitate greater relaxation. A more relaxed person is normally less stressed and, hence, less prone to heart problems. Yoga therapy can help in many such diseases and disorders. To get an appointment and therapy course from Pundit Radheshyam Mishra, please fill the online form link below. After submission of form you will receive an email of date time when you will have online one to one session with Pundit Ji. Fees for this program will be conveyed after receipt of form because it depends upon how long therapy will go. For example if it is only for one week program – it is US$ 50 and One month program is US$ 200.